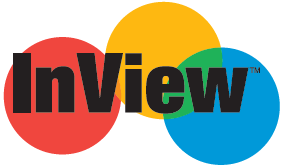 What is the InView Test? How is the InView Test Scored? The InView Test is a nationally normed cognitive abilities test used by a number of schools to qualify students for gifted and talented placement. The InView acts like an IQ test, measuring a student’s ability to use information and apply it in new and different ways, evaluating how a student analyzes and employs higher-order thinking skills (including verbal reasoning, sequences, analogies and quantitative reasoning), and measuring a student’s cognitive abilities that are needed to learn and succeed in school. The InView Test is a standardized cognitive abilities aptitude assessment that’s administered to students from 2nd to 12th grade. This test is often given along with an achievement test such as the TerraNova®, allowing teachers to compare student achievement with that of other students of the same age, grade and ability – and determine whether a student is achieving up to their full potential. TestingMom.com offers a variety of practice materials for the InView and other gifted and talented tests. The InView measures the skills and abilities directly related to a child’s ability to achieve academic success in the classroom by evaluating each student’s verbal reasoning, sequences, analogies, and quantitative reasoning skills. InView focuses on cognitive abilities and reasoning skills – things that are not specifically taught in a classroom. The Quantitative Reasoning part of the test requires students to apply math skills they may have learned in class, but in new and different ways. InView was standardized on a 2007 norm group. When used with a quality achievement test like TerraNova, InView provides achievement scores, which allows you to compare your child’s achievement with that of other students of the same age, grade, and ability—and determine whether your child is achieving to his full potential. Please share sample test questions for inview test. I am a member and do not find practice questions for this particular test. Where are the 100 free practice questions? Inview™ and TerraNova®, Third Edition is a registered trademark of CTB/McGraw-Hill, or their affiliate(s), or their licensors. TestingMom.com is not affiliated with nor related to CTB/McGraw-Hill or its affiliates (“CTB/McGraw-Hill”). 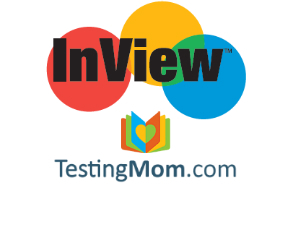 CTB/McGraw-Hill does not sponsor or endorse any TestingMom.com product, nor have TestingMom.com products or services been reviewed, certified, or approved by CTB/McGraw-Hill. Trademarks referring to specific test providers are used by TestingMom.com for nominative purposes only and such trademarks are solely the property of their respective owners.